If you are a long time fan of camping then you understand the importance of a comfortable atmosphere when you are enjoying your favorite pastime. The whole point of your excursion is relaxation. In order to do that, you need to make sure you are comfortable when sitting around a campfire with your family or best buddies. Ultimately, the main reason why finding the best camping chair is so important: to ensure your comfort so you can focus on more important things, like the beauty and wonder of the natural world, good conversation, quiet time, and quality time with family and friends. Getting one of the best chairs will ensure that you have a superior chair for every camping trip you make. You have got plenty of options before you as you shop. The styles vary in terms of color, design, structure, features, and price. While it is true there are many types of camping chairs, only a few of them make the list of the best products to buy. In fact, what seems like the best chair for you, might not necessarily be the best chair for another person: this is because a chair that meets your personal and customized needs is what will make it the best option for you. See our review here of the best camping chair to guide you. Bear in mind that what is best for your needs and comfort may not perfectly match the needs or feature preferences belonging to someone else. 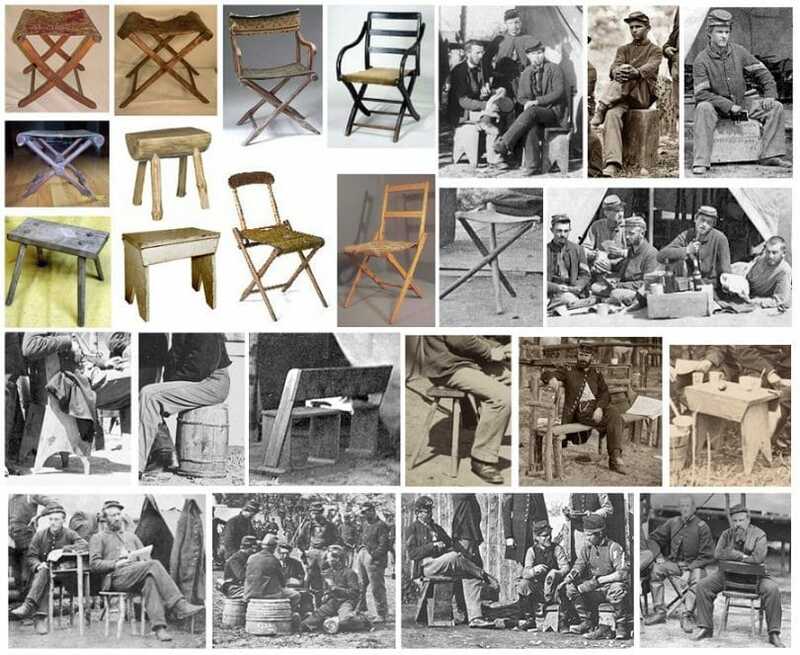 Thankfully, with such a great degree of diversity in camping chairs in terms of style and features, any camping enthusiast can identify the best chair for his or her needs. The camping chairs for sale typically feature a metal framework made of a heavy-duty stainless steel or aluminum material. Manufacturers create the majority of the chairs with an equally durable seat material, such as canvas or nylon or polyester. The material is often easy to care for and clean, and its ease of care contributes to the chair’s longevity. The seat materials are often resistant to weather conditions, and the chairs are either in one size fits all or several sizes capable of handling different weight loads. If you go camping and you don’t bring along the right chairs, you’ll be sorry you didn’t. There’s nothing worse than settling down to relax, chat, unwind, and people watch than to find the chair you’re sitting in makes you feel so uncomfortable you’d rather spend your time standing up. To ensure your comfort, you need to assess your personal preferences. In doing so, you can choose the one of three general types of camping chairs to buy: minimalist style, traditional style, or posh. Minimalist-style: This style is one that has the bare basics. The chair is either a stool or a folding seat. While not loaded with extra features or creature comforts, these chairs are typically lightweight because of the minimalist style. 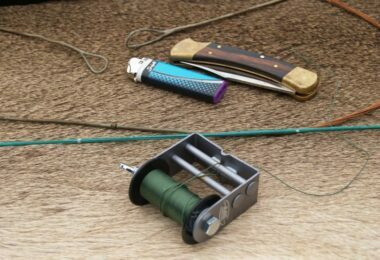 Their lightweight design makes them highly portable and great for the camper who also likes to go backpacking. The minimalist-style will serve you well if you have a no-nonsense type of personality and you appreciate simplicity. Traditional-style: This type of camping chair is one that features a standard seat back, two armrests, and legs made of an aluminum material or a metal alloy. The traditional-style chair is foldable, compact, and it is often sold with a very light-strapped carrying bag. The traditional chair is appreciated for its portability, and folding features as this makes it easy to store away in the trunk of your vehicle or a closet at home. Posh-style: This type of camping chair has all the bells and whistles and is for the camping enthusiast or glamping (glamorous camping) fan who appreciates that “home away from home feel.” The posh-style options are the best for you if you are seeking a chair that has adjustable armrests, coolers, beverage holders, reclining features and more. Do you need a padded chair so you can ensure comfort of the lower tailbone and lower back? Do you want something with durable, natural, average-length legs so you sit for a long time in comfort without added stress on the knees? Do you need a chair that provides you with extra support for the back or extra room for stretching out your legs? Consider whether the chair has an extra wide seating area or if it is the traditional size: What width seating will serve you best? Will you spend a lot of time in the chair reading? If the answer to this question is yes, to guarantee your comfort you will want a chance with a solid backing or good back support. Second only to comfort in terms of important camping chair features is portability. Just how easy is the chair to tote from one destination to another? 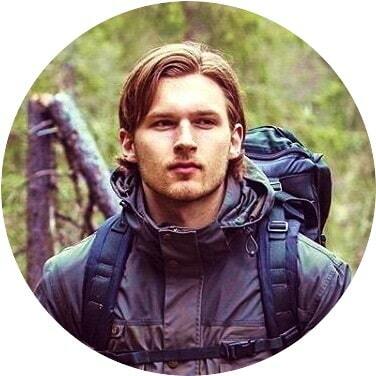 For example, if you have to hoof it through the woods for 25 minutes before you are even at your campsite, a heavier chair isn’t going to do a bit of justice for you. In such a case, a light chair is definitely in order. The chair on the market today are running five to 12 or 13 pounds apiece, and the lower you can get to the low end of that weight range the better you are in terms of chair portability. Bear in mind that every “desirable feature” might not be perfect for everyone. For instance, if you have a beverage holder in the arm rest that is positioned for right hand dominant people only, this can be a bit of a letdown and future irritant to you if you happen to be a left-hander individual. On the same token, some of the most well built, durable chairs are on the heavier side of the scale: This may limit the chairs’ portability to a certain degree. 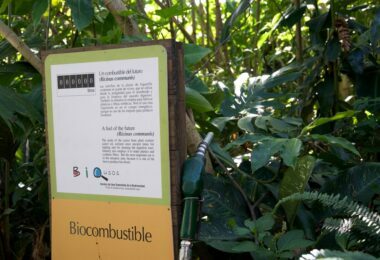 Thus, when seeking out the best camping chair you need to really reflect on the potential benefits and features you will be getting with your chair investment. Ask yourself how the chair’s features will best serve you, if at all. The best chair for camping is well built, durable, and made of weather resistant materials. 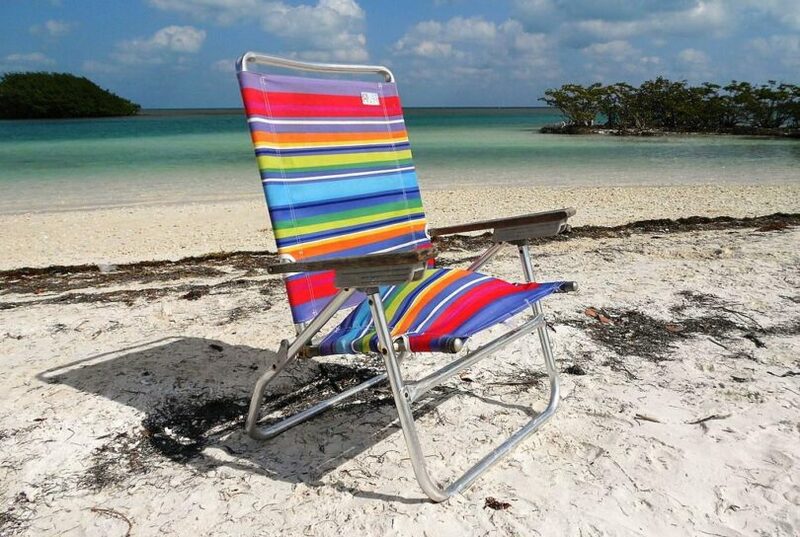 If you plan to use the chair along the beachside, you will want one that can withstand potential exposure to the salt water from the ocean and that is resistant to rust formation on the metal components of the chair. You will want to also see out chairs with adequate padding and nylon covered seating to enjoy longevity of the seating area in question. The Coleman Quad Chair is a posh-style chair that features an attractive design with a royal and dark blue color scheme. It is also available to get the chair in black or red with black trim accents. The price range of the chair is equally attractive since it costs between $26.00 and $37.00 depending on where you buy the chair. Even better, the manufacturer offers a one-year warranty on the product to ensure your continued satisfaction. It has a mesh beverage holder is in a right-hand dominant position so you will always have your drink within your reach. Cooler holders hang from the armrests to keep additional cool beverages on hand. The chair is strong and can withstand 300 pounds due to its heavy-duty steel construction. Adjustable armrests make it possible for you to set the rests to a level that maximizes your comfort. 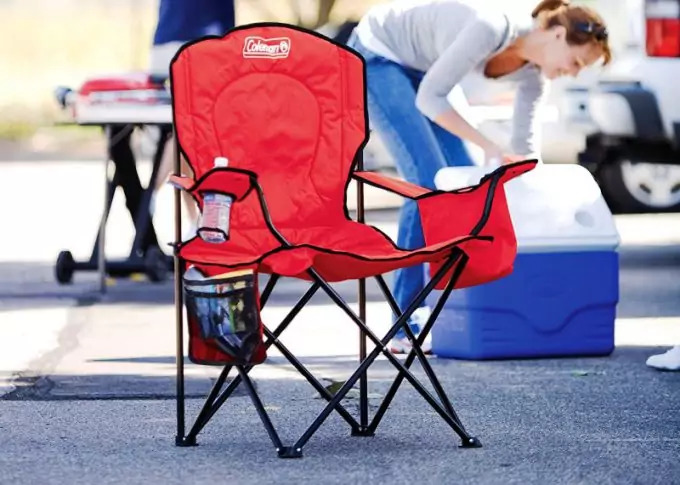 The only downside that comes with the Coleman Quad Chair is that the chair’s weight makes it a bit more cumbersome to tote around when compared to other camping chairs available: The unit weighs 7.6 pounds. However, the manufacturer makes up for the slight issue with the chair comes with a carrying bag to make carrying the unit a bit easier for you. What’s more, the chair is foldable so you can pack it away in the trunk of your car or store it in a closet when it is not in use. A mesh back seat allowing the fabric to breathe and for you to remain cool and comfortable during long hours of being seated. Not one, but dual cup holders as well as an organizer that is fitted with zip and mesh pockets. The ability to withstanding 300 pounds of weight. Posture improving features that stem from the superior seating support. The Kijaro chair is also equipped with a patented feature called “Dual Lock Technology.” The feature allows the user of the chair to lock it into one of two positions. If the chair is open and will be used for seating, it will lock open to ensure proper support of the back while you are seated. When you are not using the chair, you can lock it closed and carry it that way without threat of the chair opening during transport. You do not need a carrying bag as the chair remains locked the entire time. The only con associated with the chair is its weight. The chair measures 45.7 inches by 35.4 inches by 26 inches, and weighs a hefty 12 pounds, thereby making it a bit on the heavy side when transporting it. The Alps Mountaineering Rendezvous is definitely among the top of the line traditional-style camping chairs on the market today. The chair is priced between $30 and $45.00. This one-size fits all seating solution is compact, attractive, and made of durable materials. It measures 20 inches x 14” x 24 inches and, it is light enough to make it easily portable at a weight of 6 pounds, 13 ounces. The chair is available in two colors: Rust or Khaki. The chair folds up for ease of storage and carrying. A shoulder bag comes with the chair with an 8” x 28” measurement. The chair’s seating is made of a durable, easy to clean, polyester material. It can withstand the weight of a 250-pound adult. 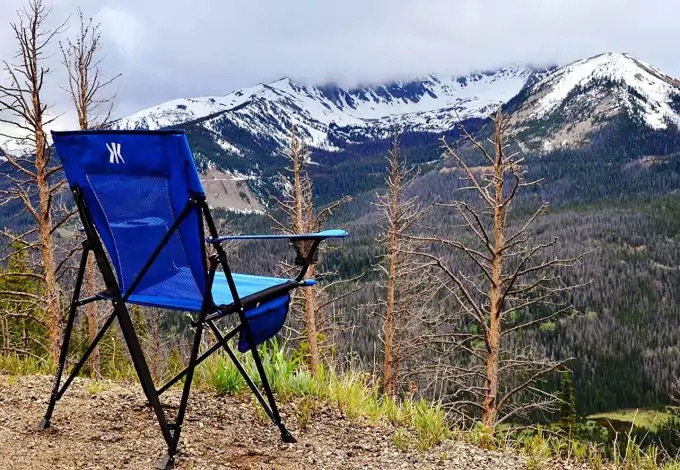 The portable Alps Mountaineering camping chair is great whether you are glamping, sitting alongside the lake, or sitting around the campfire where you are ready to break out the long sticks and marshmallows. The chair is lower to the ground than the average folding chair and the back seat of the chair has a natural recline so you can kick back and relax while you stretch out the rest of your frame. The width of the seating in question is about 22 inches wide in terms of the frame, but in terms of the fabric, it measures about 20 inches in all. 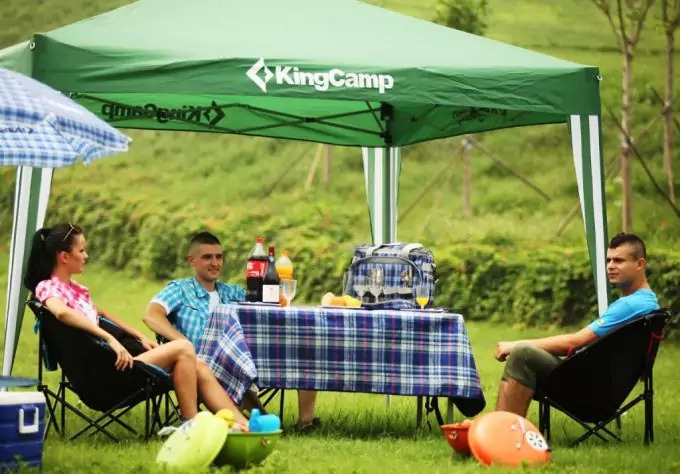 The KingCamp® Moon Leisure Camping Chair is another traditional-style option that makes the best camping chair list because of its user-friendly design. It has a round seat with padding to give you additional comfort while seated. You can use the chair indoors or out, and it comes complete with a light carrying case. You can fold it up and there are even handles on the seat backing for ease of transport. The chair is a bit on the pricier side with a price range between $48.00 and $68.00. Color availability in red/black, blue/black, and green/black. A big pocket that is located in the chair’s backing for holding your accessories and magazines. The seating is made of easy to clean and maintain polyester materials. It measures 33 inches X 28 inches X 16 inches. It can withstand a weight o 260 pounds. The frame is made of a steel, tube construction. Weighing in at 10 pounds, the chair rank’s moderate in terms of its ease of portability. 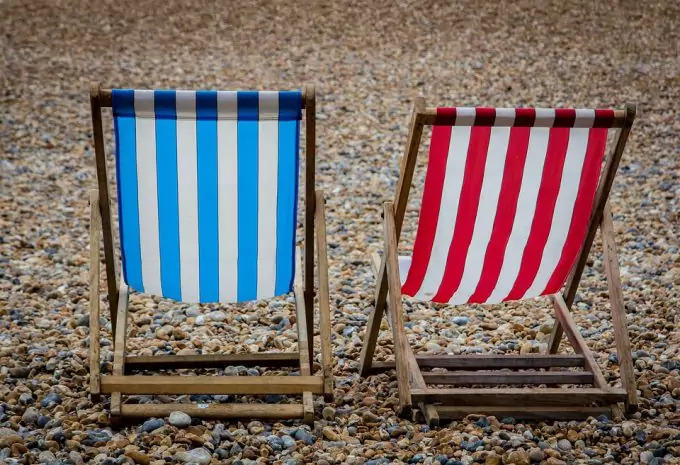 To ensure the longevity of the chair you are advised to dry the chair immediately if it gets wet, and that if screws in the chair begin to loosen, you should retighten them. It’s a good idea to check the screws every once and a while to ensure the chair’s continued stability. The Quik Shade Folding Quad Camping Chair is a simple, minimalist chair ideal for any camping endeavor. The chair can handle a weight load of 225 pounds, and it has a durable seat attached to a metal framework. The framework is made of durable steal to ensure stability. This basic chair comes with a single holder for a cup, and a carrying bag so you can tote the chair with ease. The chair measurements of 5 inches x 34 inches x 20.5 inches. The Quick Shade Chair always weighs about eight pounds in all. Chair availability in green, red, and blue. The materials used to make the chair make it all too easy to clean and maintain. 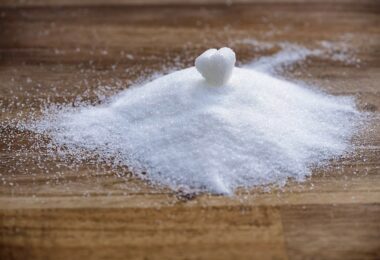 The polyester used to make the fabric is exceptional as well, and makes for a serious ease of cleaning when necessary. 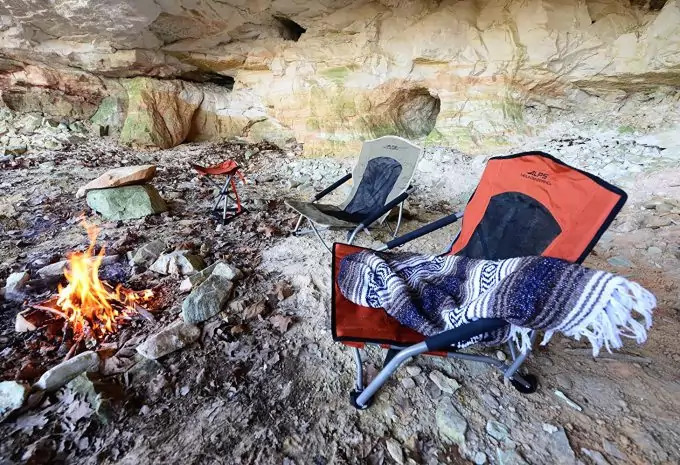 Long time camping enthusiasts will return to their favorite camping destinations year in and year out and each year they bring along with them the best camping chairs. As part of the wonderful memories people experience during camping excursions, it is important for a camper to have adequate and comfortable seating around the campfire or by the tent, camper, or RV. Adequate seating that ensures a good degree of user comfort is all it takes to make camping memories a lot more pleasant. You will be able to relax and unwind in a comfortable chair, all while getting the back support and seating safety you need. Before you go to your next adventure, check our piece on must-have gadgets for camping to help you.